A newly released report by the American Association of University Professors claims that the reasoning behind eliminating the meet-and-confer policy at the Maricopa County Community Colleges District was politically motivated, according to records they obtained during an investigation. Their evidence of the political motivation comes from email correspondence between administrative staff over the decision to eliminate the policy and interviews with faculty members. The emails were obtained through Arizona’s public records law. “I talk about this when I am addressing groups and I am getting applauded for eliminating a public employees’ union,” Jeffrey Darbut, former Vice President of Administrative Services at Mesa Community College said in one of the obtained emails. Other conversations show a more partisan angle to the decision. The report’s findings are as follows. Last year, the MCCCD governing board decided to eliminate the meet-and-confer policy among protests by professors and other staff. The policy was used as a bargaining tool when negotiating things such as salaries and benefits. The board called the policy “outdated” and voted to remove it in February 2018. The policy was used to solve a variety of issues and problems within the district. Along with the repeal of the meet-and-confer policy, board members also voted to eliminate the residential faculty policy manual, commonly referred to as the RFP. The RFP outlined things such as academic freedom, professional ethics, sabbatical leaves, mediation and more. The RFP had undergone many changes over the decades with the non-profit Faculty Association using the meet-and-confer policy to work with administration officials to work out the changes, something that now is no longer a possibility. 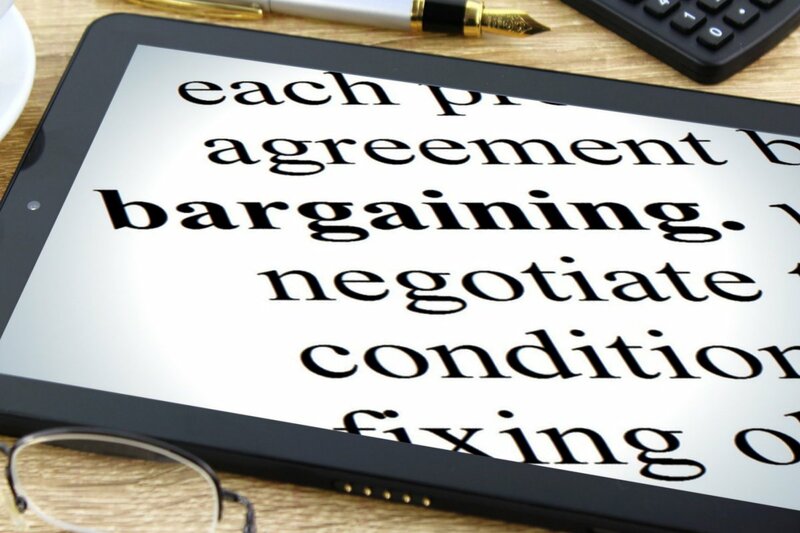 In Arizona, public entities are not allowed to engage in public bargaining, but the attorney general determined in 2006 that meet-and-confer did not fall under the ban on collective bargaining. The process usually took a year as data was collected and both sides negotiated, and then the recommendations would be forwarded to the board for a vote. What happened in February 2018? On Feb. 27, 2018, the board voted to eliminate meet-and-confer and the RFP. A new RFP was to be created and voted on in October of that year. During the same vote, last-minute amendments were added and approved to prohibit employees for working with or raising money for political action committees while on the clock. It further added restrictions on how and when faculty that participated in meet and confer communicated with each other a litany of issues. Members of the faculty association interviewed by AAUP said they were “blindsided” by the decision, as they felt that there had been no issues with how things were currently working and were confused as to why the repeal took place. The board stated its rationale for ending meet-and-confer was to speed of the process of changing the RFP. However, prior to the Feb. 27 meeting, another meeting between members of the faculty association and Hendrix gave hints at other motivations. At a Feb. 20 governing board meeting, Hendrix read two emails. One was from the chair of the faculty administration’s PAC announcing plans to raise money to “support candidates for the governing board who share our student-centered values of higher education.” The other message was from a faculty administration member to colleagues lamenting the possibility of meet-and-confer being eliminated. Hendrix then went on to state that the faculty administration was actually engaging in collective bargaining and that the faculty members had been engaging in illegal activities. Two members of MCCCD’s governing board are former Republican members of the Arizona Legislature, Hendrix and Jean McGrath. McGrath was running for re-election to the board at the time, and the author of a report that was used as the basis for eliminating meet-and-confer was her campaign treasurer, according to the AAUP report. One of McGrath’s campaign promises was to eliminate meet-and-confer, which she called collective bargaining. Additionally, in a January 2018 email, Hendrix stated that he was seeing strong support from Republicans in the state for the move to eliminate the policy. A month later, he would file to run for a seat in the Arizona House of Representatives, though he ultimately did not run. Other political motivations were noticed by the AAUP investigators as well. In one email exchange between two board members, they discussed an upcoming academic trip called “Cultural Bridges”. It involved faculty and about 50 students, but the board members were troubled by the inclusion of a speaker who was going to talk about Islamaphobia and was part of the Council on American-Islamic Relations. “We could accomplish more if we didn’t waste money on liberal causes,” one unidentified governing board member said. Another, also not identified in the report, responded by stating her 13-year-old grandson had a Muslim teacher and she would “ask him how that has worked out.” The board eventually didn’t approve funding for the trip. Hendrix is no longer the governing board president and in January, Dr. Linda Thor, president emeritus of Rio Salado College, was chosen to take his place. One of the first steps by the new president and board members was to rescind the Feb. 27 decision ending meet-and-confer. The person who wrote the white paper that initiated the process to end meet-and-confer, Mesa Community College VP Jeffrey Darbut, has since retired. Furthermore MCCCD’s attorney the district’s governing board did not see the reasoning behind the report, as the decision has now been reversed.